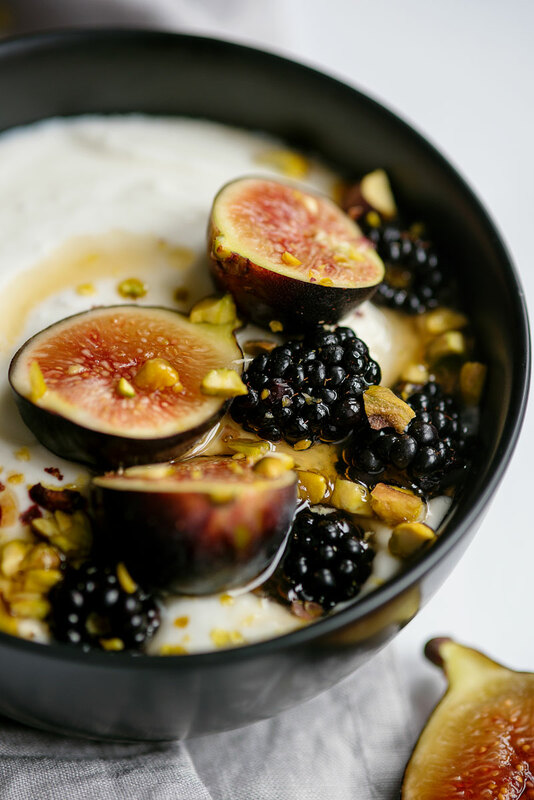 Start the day right with these healthy yogurt bowls with fresh figs, pistachios, blackberries, and honey for breakfast. They only take 5 minutes to make! After six years of living in California, it’s safe to say I’ve become a California girl to my core. Those harsh winters and humid summers growing up in Wisconsin have become a distant memory. One of my favorite things about being a California girl is the access to fresh produce and ingredients we have here. The access to local fruits and vegetables often guides the cooking we do. 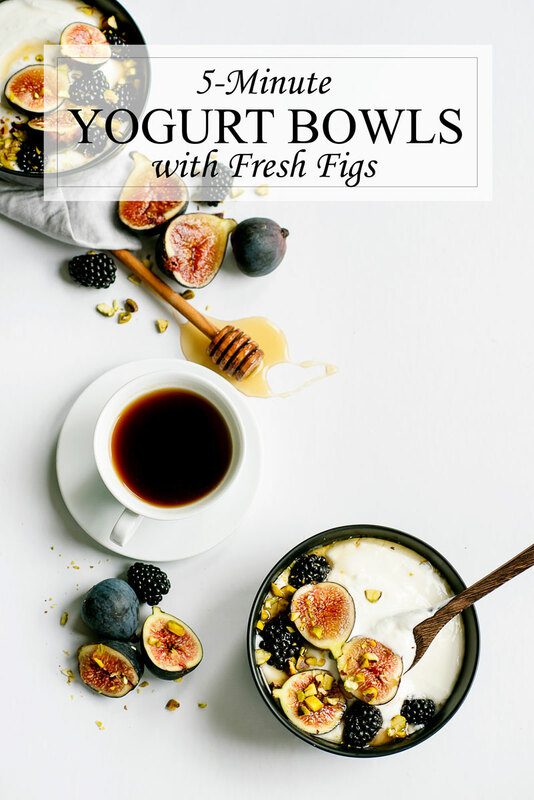 Read on for my easy yogurt bowls recipe! The shelves of our grocery stores are also packed full of local products, like cheese, milk, and yogurt. We look for the Real California Milk seal on the dairy products we buy. California is actually the number one producer of milk and a leader in quality, sustainable dairy foods. California dairy means real food from real people – 99% of California dairies are family owned. 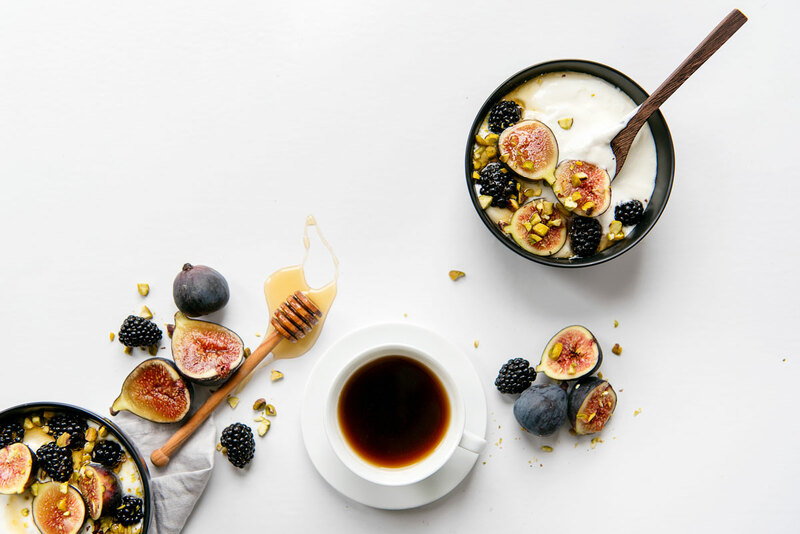 We start every day with yogurt, not only because it tastes amazing, but also because it gives us the healthy, natural protein for the energy we need to get through the workday. It also provides us with essential vitamins and minerals, like calcium. It’s important for us to get these without relying on supplements – food is the best medicine! We also enjoy it throughout the day for a mid-morning break or even a healthy late night snack. You can find Real California Milk products in grocery stores all over the country. 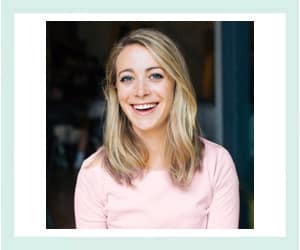 Just use their handy product finder: https://www.realcaliforniamilk.com/product-locator/. We’re right in the middle of fig season right now. It’s short, but oh it’s glorious. Rush out and buy them while you still can! You can usually find figs August through October. I’d never had fresh figs until moving to California and now I just can’t get enough. 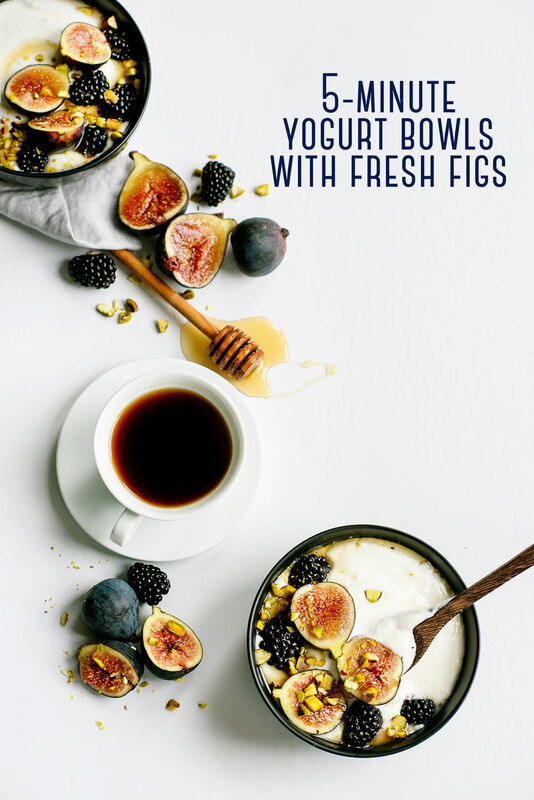 The figs in these easy yogurt bowls came straight from the farm where we get our weekly farm share. 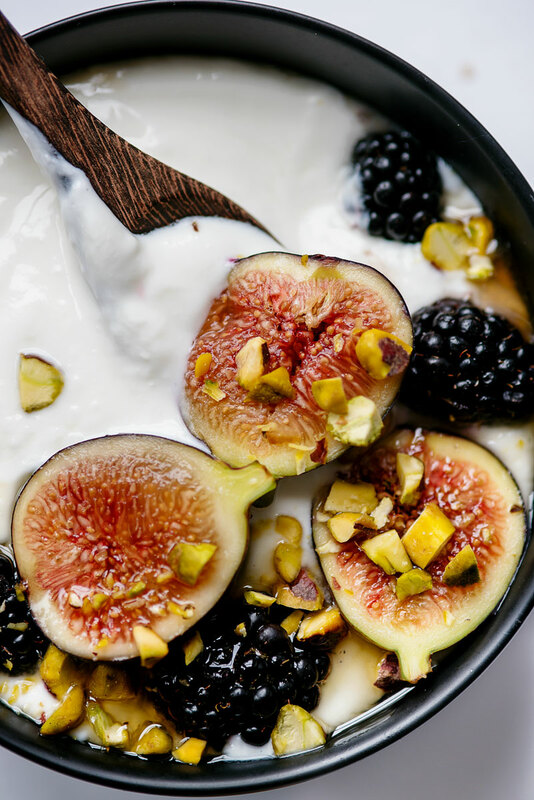 I hope you get the chance to sneak some fresh figs into your diet before they are gone. 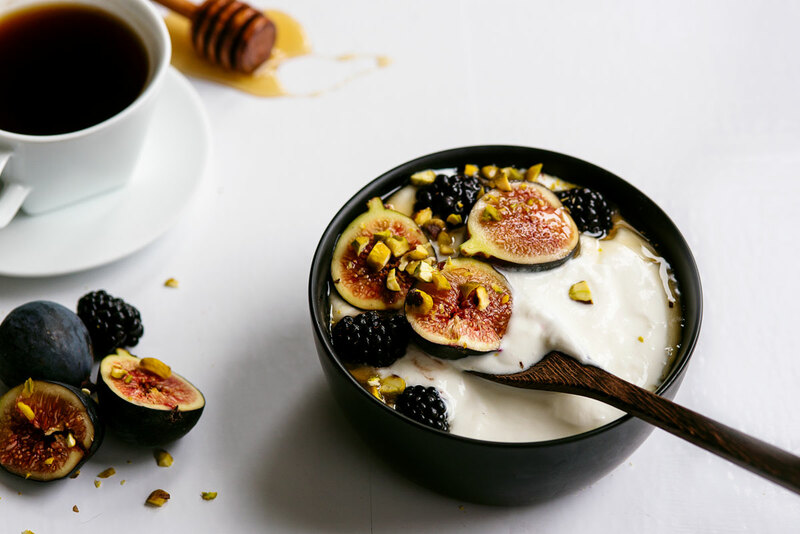 Yogurt offers healthy protein to start your day. 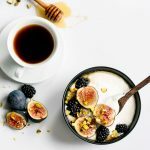 They make not only a healthy breakfast but also a great morning, afternoon or even late night snack! Fresh figs make everything better. It only takes 5 minutes to put together! This recipe only has natural sweeteners with no processed ingredients. Pistachios add a bit of texture and saltiness that complements the rest of the bowl perfectly. 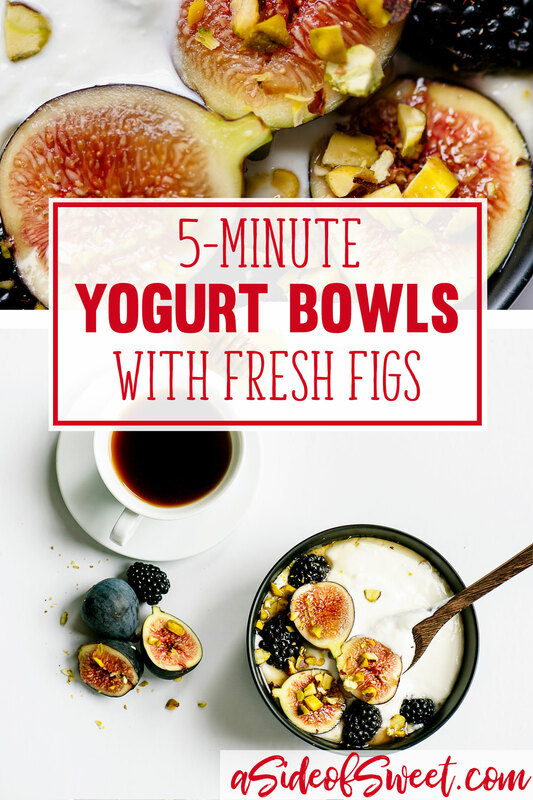 Spoon yogurt into a small bowl. 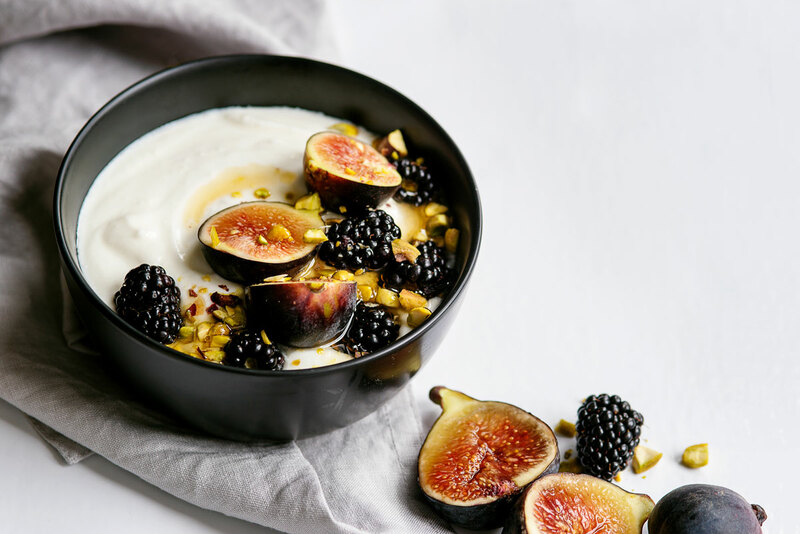 Slice figs in half lengthwise and add to bowl, along with blackberries and pistachios. This post is a partnership with Real California Milk. Thank you for supporting the sponsors that allow me to bring you beautiful content!